Dr. McGinty’s research focuses on evaluation of mental health and substance use policies. 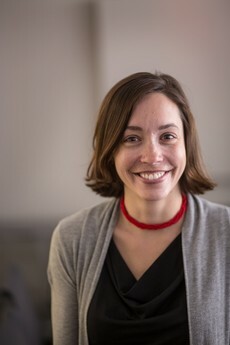 Her interests include the evaluation of policies designed to better integrate behavioral, somatic, and social services for people with serious mental illness; study of policy approaches to addressing the U.S. opioid epidemic; and evaluation of policy issues at the intersection of mental illness, substance use, and violence. In close concert with her policy evaluation research, Dr. McGinty conducts implementation research focused on developing strategies for wide-spread scale up of effective health and social services for people with mental illness or substance use disorders. She also conducts communication research examining how communication strategies influence public stigma toward, and support for policies that benefit, people with mental health or substance use conditions. At Johns Hopkins, Dr. McGinty is the Deputy Director of the Center for Mental Health and Addiction Policy Research and the Associate Director of the ALACRITY Center for Health and Longevity in Mental Illness. She completed her PhD in Health and Public Policy from the Department of Health Policy and Management at the Johns Hopkins Bloomberg School of Public Health in 2013 and was awarded a MS in Health and Behavior Studies from Columbia University in 2006. McGinty EE, Stuart EA, Alexander GC, Barry CL, Bicket MC, Rutkow L (2018). Protocol: Mixed-methods study to evaluate implementation, enforcement, and outcomes of U.S. state laws intended to curb high-risk opioid prescribing. Implementation Science, 13(37): 1-10. McGinty EE, Kennedy-Hendricks A, Linden S, Choksy S, Stone E, Daumit GL (2018). An innovative model to coordinate healthcare and social services for people with serious mental illness: A mixed-methods case study of Maryland’s Medicaid health home program. General Hospital Psychiatry, 51: 54-62. McGinty EE, Siddiqi S, Linden S, Horwitz J, Frattaroli S (2018). Improving the Use of Evidence in Public Health Policy Development, Enactment, and Implementation: A Multiple-Case Study. Health Education Research, In Press. McGinty EE, Goldman HH, Pescosolido BA, Barry CL (2018). Communicating about Mental Illness and Violence: Balancing Increased Support for Services and Stigma. Journal of Health Policy, Politics and Law, 43(2): 185-228. McGinty EE, Barry CL, Stone E, Niederdeppe J, Kennedy-Hendricks A, Linden S, Sherman SG (2018). Public support for safe consumption sites and syringe services programs to combat the opioid epidemic. Preventive Medicine, 111, 73-77.